Download the MILFCAST from the Soundcloud player. Track list after the drop. The aforementioned single “Code 9” drops on Monday 3rd September 2012 on the Hot Mom USA with remixes from Moony, Star Eyes and Wheez-ie. Promo video & preview after the drop. Easy people. For this week’s ‘Grimey Mondays’ show I took it back to the #SummerOf2002 with the tunes that were flying off the shelves of record stores during that summer a.k.a the birth of ‘grime’ music. These tunes were mashing up bare pirate radio stations & shows, youth clubs, raves and be heard blasting out on every estate in London. Also threw in a couple of my favourites from that time along with some undercover bangers and alternative versions of some big bangers. So click here or the logos for the download! End Productions – Are You Really From The Ends? Hey all. 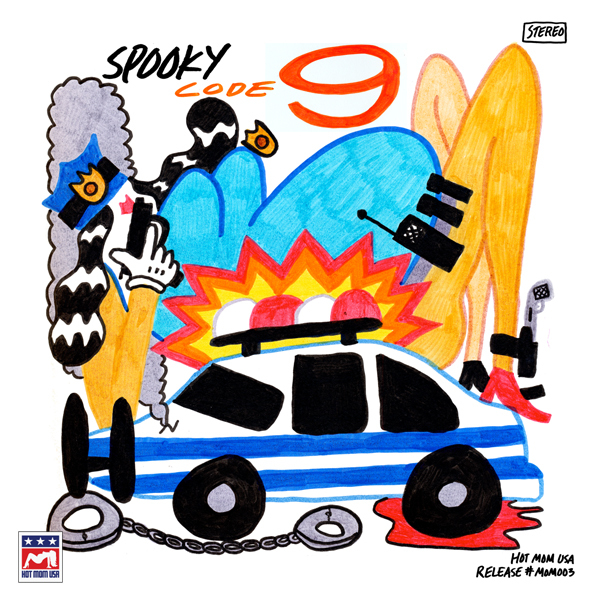 Time to get my Yankee Doodle hat on as my new instrumental single “Code 9” drops on Monday 3rd September 2012 on the Hot Mom USA label run by RX and DMC champ DJ Shiftee and featuring remixes from Moony, Star Eyes and Wheez-ie. Check the promo video out below. So that’s “Code 9” out on Labor Day for my USA crew (Monday 3rd September 2012 for my UK crew). Enjoy and support good music! Here’s my ‘Grimey Mondays’ 20th August show with fresh riddims, current releases and forthcoming bits from myself Spooky, M.I.K, J Beatz, Mrk1 & Jamakabi, Starkey & Trim, Dexplicit, Royal-T, K1, Swifta Beater, D Power, Preditah, Gravity, Freeza Chin, Faze Miyake, LJ & G1, Adam Mac & Domino and many more! So click here or the logos for the download! 9 Producers Keeping Grime Alive! | MTV IGGY. < Follow this link for the lowdown. Here’s my ‘Grimey Mondays’ 13th August show with tunes from Royal-T, Preditah, Terror Danjah, Redlight, Darq E Freaker, myself Spooky, Big Narstie, J-Sweet, DJ Myrikal, DPower, Discarda & P Money, Trends, Notion, BassBoy, Champion & many more! So click here or the logos for the download! The “Get On Up EP” by DSL was released on Friday 10th August 2012 on Project Allout Records. Featuring remixes from myself Spooky, Moony, Mr Dubz, Addministro & Singletown. Go cop this NOW! Click the picture to take yourself to the Juno Download link. Another Just Jam. This time for the Kings Of Grime takeover courtesy of DJ Complex. Here’s the set in full alongside Kwam & Nico Lindsay. Stream the video below and download the set here or click on any of the pics above. You can also stream the set via Mixcloud by clicking here on the logo below.